There were alternate systems of belief for those dissatisfied with the chaotic traditional religious forms. Christianity first arose historically as a reform movement within Judaism. The apostle Paul forced it open to non-Jews and gave it the Greek flavor that allowed it to flourish in the eastern Mediterranean. The significant question is how it became the official religion of the Roman empire and an agency of the Roman imperial government. Roman religion did not provide a moral base or message of hope. The Romans had an elaborate religious system with many groups and types of deities. The Pantheon: the gods and goddesses of mythology. The Titans – defeated allies of the old gods — friends of humanity — Prometheus, the fire-bringer was a titan. The heroes — humans who achieved divine status — Hercules was the most famous example. Note that the gap between god and human was not so great as to be uncrossable. Local deities — each region, city, town, and village had its own tutelary gods, and their were gods who protected field boundaries, storehouses, and every other imaginable thing of value. Nature spirits — each tree, stream, hill, and other natural feature had its in-dwelling spirit. Dryads in trees, hydrads in springs and streams, oreads in hills and mountains. Magic and superstition — people needed to believe that they had protecting spirits, because they were very superstitious and that they were always in danger of “bad luck” on Fridays, the 13th of the month, after having broken a mirror, when their stars were not in a good alignment, and so forth. They also believed in witches, vampires, the evil eye, and other malevolent forces. Greek philosophical systems (Skepticism, Epicurianism, Stoicism) that offered moral bases but no hope. 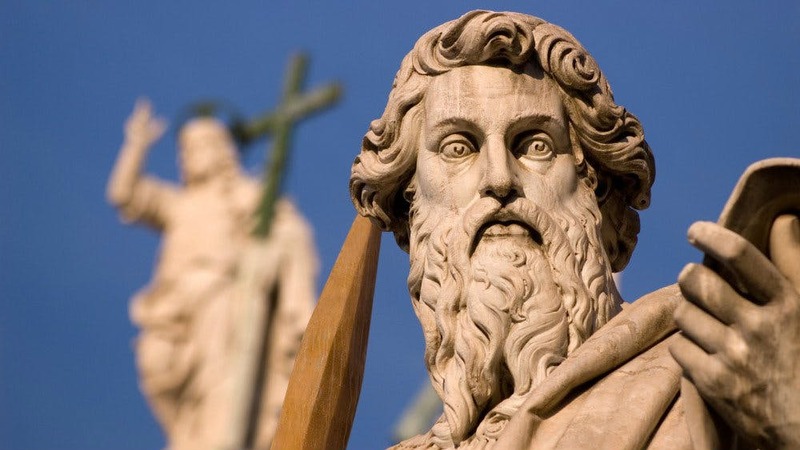 Nevertheless, some of these systems, particularly Stoicism with its belief in universal brotherhood and justice exerted an important influence on developing Christianity. Mystery cults (Isis, Mithra, Orpheus, and many others) that offered hope, and sometimes a moral basis for human action. 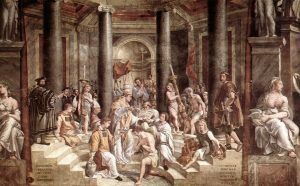 The mystery cults (so-called because members had to undergo an initiation — such as a purifying bath of the eating and drinking of the symbolic body and blood of the cult’s founder) and the nature cults (exemplified in the shepherd’s god, Pan, and the fishermen’s god, Neptune, who were combined into the Christian image of the devil and given Prometheus’ name of Lucifer — “the fire-bringer”) provided Christianity’s major competition for converts and supporters. Its founder was an actual person. It had the Jewish legal code and tradition of morality. It had the ability to adopt and adapt: Christmas was taken from the cult of Mithra, the Madonna from that of Isis, and many other Christian traditions were borrowed from other religions. The early Christians were extreme bigots, filled with zeal and commanded to evangelize; expansion was built into Christianity. Christianity appealed to the downtrodden masses. Women, low-skilled workers, prostitutes, the uneducated, slaves, fishermen, tax collectors, and so forth were the companions and “beloved” of Jesus, and a growing class of the oppressed and despised saw Christianity as the only faith that viewed them without contempt – as “the salt of the Earth – and that offered them the hope a better life — sometime. It is said that “the blood of the martyrs was the seed of the Church,” and this was true in many respects. The Christians met horrible deaths with equanimity and even joy, impressing all who watched with the fact that the Christians seemed to have something worth dying for. Christianity’s ability to survive persecutions impressed those who possessed little faith of their own. 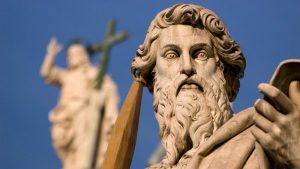 Although not often viewed as such, the Gospel according to Luke and the Acts of the Apostles are in fact a two-part history of early Christianity written by Luke for the edification of a certain Theophilus – about whom little or nothing else is known. Taken together, the books trace the process of the faith from a few followers of a faith healer from the back-country of Judaea to the arrival, some thirty years later, of evangelists in Rome. Thus Luke and Acts outline the first great stage in the history of Christianity, the process by which the personal and charismatic leadership of Jesus of Nazareth was institutionalized and by which is developed an evangelistic dynamic. The account contained in these books comes to a close at the beginning of a fitful but bloody three and a half centuries of persecution by the government of imperial Rome. After the Jewish rebellion in 89-90, the Jews were scattered throughout the empire in what is called the diaspora. 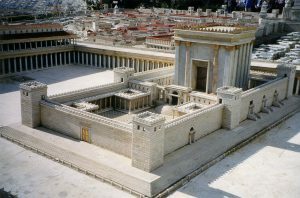 As a Jewish reform movement, early Christianity first spread through the Jewish communities in the cities of the empire. The Jews made their way at the less attractive industries such as tanning, leather tent making, “bottling” olive oil and similar things, shoe and sandal-making, and the like. They lived in crowded and smelly industrial sections of the city, and that is where the first Christian communities arose. Christianity was more than just an urban religion (residents of the surrounding countryside, or pagus were called “pagans”), it was a ghetto religion. Its members were of the lowest classes, and today’s college students would probably not have wanted to sit next to Peter, James, or any of the early Christians because of their smell, if for no other reason. The early Christians were quite intolerant. They believed that their God was the only God and that their Savior was the only savior. “Except through me you shall not see my Father,” as they believed Jesus had said. More than that, they also believed that Jesus had commanded them to spread the faith by converting others. As a consequence, Christians were not willing to let others follow their own faiths, but condemned the beliefs of others and tried to convert them to their own belief. This was quite contrary to Roman imperial policy, which attempted to respect all other religions and even to integrate them into official state religious observances. The Christians refused to accept this attitude and so were continually flouting imperial authority. The faith was illegal, and its members often persecuted by the government. In order to steer as clear as possible of the government, they formed inner city groups (ecclesiae) with their own internal governments under spiritual and secular overseers (episkopos > piscop > biscop > bishop), aided by the heads of households. The bishops stayed in touch with each other through letters (epistles), secret meetings (councils), and by keeping the records of the faith in secret books (bible means simply “book”). The members developed secret signs and symbols by which to recognize each other, the cross in various forms, the outline of a fish, variations on the Roman numeral three, and so forth. Christianity grew slowly, and even began to penetrate the urban middle class and some elements of the army. In a crucial battle to gain control of the Roman empire, Constantine used a Christian symbol as his banner and so gained the support of the Christians among the warriors drawn up to fight at the Milvian Bridge, Constantine won the battle and rewarded his supporters by decreeing that Christianity would henceforth be tolerated. Constantine soon saw that it would be to the empire’s advantage if it could harness the zeal of the Christians and turn it to support of the imperial government. After centuries in hiding, however, the Christians had developed various local forms of worship and belief. Constantine set about imposing some structure upon the faith and turning it from a movement into an institution. 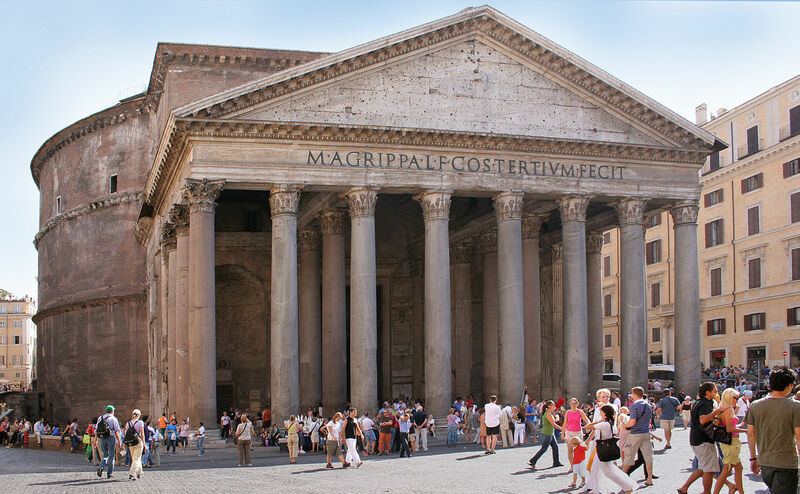 One could argue that Jesus may have founded the Christian Faith, but that Constantine founded the Christian Church. Constantine died shortly after, and the legend is that he was baptized a Christian on his deathbed. Whether that is true or not, he had turned a disorganized and persecuted ghetto faith into a respected institution, had seen that it triumphed over its competitors, and had shaped it into an eminently Roman institution. The common picture of Christianity as a persecuted sect was true only of the early empire, the Principate. In the late empire, the Dominate – sometimes called by historians “Late Antiquity – Christianity was the state religion and an official government agency. 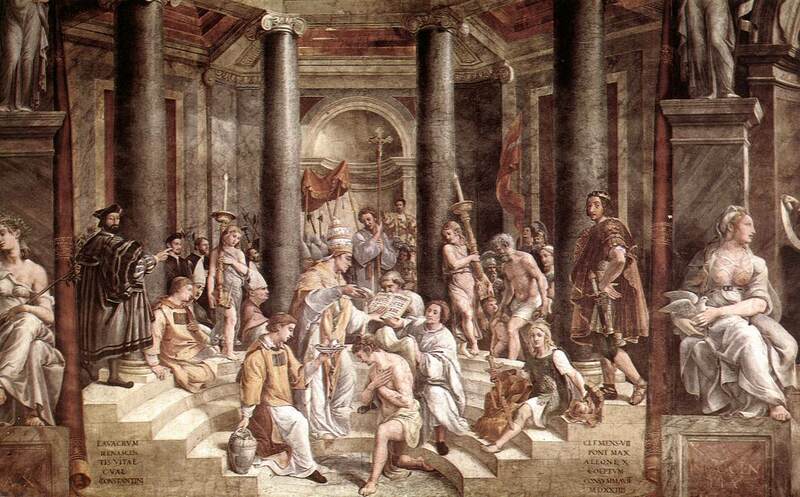 The medieval Church was simply a continuation of a part of the Roman government, and its political aspect had been made a part of its structure by Constantine and his successors. This entry was posted in Ancient, Christianity, History, Religion, Roman, Rome. Bookmark the permalink.